Was Yahweh, then , Enki in a biblical-Hebrew garb? Were it so simple ... 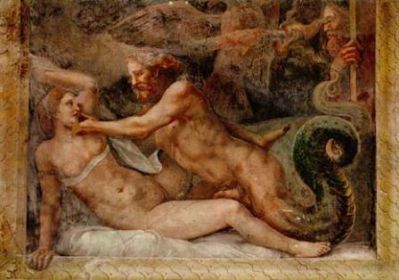 If we examine closely the tale of Adam and Eve in the Garden of Eden, we will find that while it is the Nahash--Enki's serpent guise as knower of biological secrets--who triggers the acquisition by Adam and Eve of the sexual "knowing" that enables them to have offspring, he is not Yahweh but an antagonist of Yahweh (as Enki was of Enlil).